Through their amazing work, our Healthcare team understand the value of the home. At Saga we want our Healthcare team to feel at home and that is why our careers offer them the opportunity to grow and develop in a nurturing environment. The CRE is responsible and accountable for successfully and appropriately matching our Clients and Carers and managing this from beginning to end. The role holder will own the relationships with both the Clients and Carers for a specified geographical area (or other appropriate spilt) known to them as the portfolio. The CRE will typically manage and coordinate the matching of: circa 120 Clients and 100 Carers at any one time. Although this role is very people orientated and managing relationships is key there will be some KPIs set to drive business and personal performance. Manage and take ownership for the specified portfolio of Clients and Carers and own the relationships, process and administration from beginning to end, including converting and closing the sales process where appropriate. Ensure a very high level of tailored service is given appropriately matching Client and Carer taking into consideration the Clients complex needs and Carers suitability. Proactive and solution focused when faced with last minute changes to assignments. 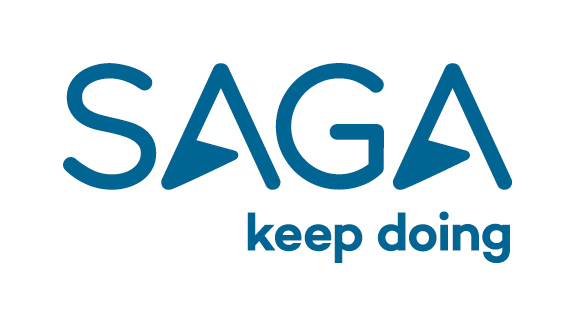 Works under pressure within the required timeframes and standards of customer service set by Saga Healthcare. Uses influencing skills to stakeholder manage other colleagues in: Recruitment, Sales, Compliance and Finance to ensure strong communication and effective internal processes. Constantly evaluate the matching process and drive own and team performance and help others improve personal and business performance. Set up appropriate introductions for Clients and Carers and complete appropriate internal administration. Understand and deliver KPI’s and SLA’s specifics. Take proactive and appropriate action when KPIs aren’t being met. Ensure there is accurate handover to colleagues as required, maintaining a seamless transition so service delivery remains efficient and streamlined. Maximise on every opportunity ensuring the Client and Carer receives outstanding service. Ensure all system records are up to date and accurate. Undertakes call out duty as and when required. Support your colleagues at peak periods of activity. Follow company processes to ensure that service delivery is streamlined, efficient and effective to all parties. Ensure standards for service delivery are and maintained. Ensure delivery of customer, financial and operational KPIs. At all times maintaining a high standard of efficiency and integrity within the office. Adopt a flexible, enthusiastic and driven approach to achieving the financial goals of the business. Contribute to maintaining a high level of housekeeping and attention to health and safety issue so as to create a healthy and safe working environment. Willingly carry out any other duties deemed appropriate by the Company in line with the company Employee Handbook. Good knowledge of products and services within Country Cousins/Patricia White and Saga Healthcare Ltd.
Assertive when required but also patient and a caring customer focus. Proactive at all times thinking about the bigger picture. Excellent organisational skills and diary management. Proficient with Microsoft Office – including Excel. Able to work on own initiative as well as part of a team. Excellent administration and communication skills and able to give attention to detail. Striving for excellence and keeping the client happy.